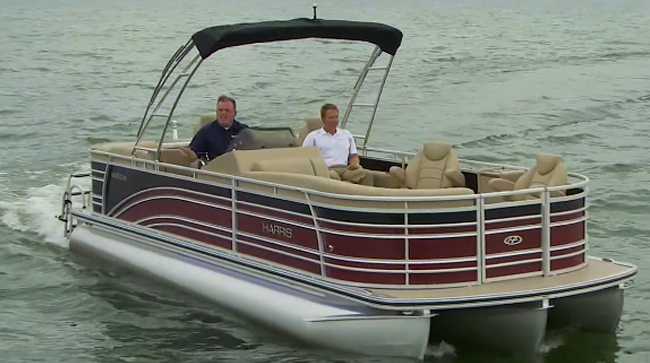 The Harris FloteBote Solstice 240 is a pontoon boat built for today's boating needs. 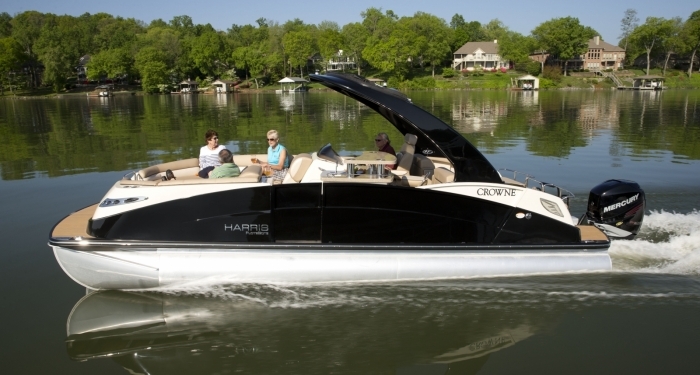 Manufacturers of pontoon boats like the Harris FloteBote Solstice 240 have come to realize that people use their pontoons differently today. 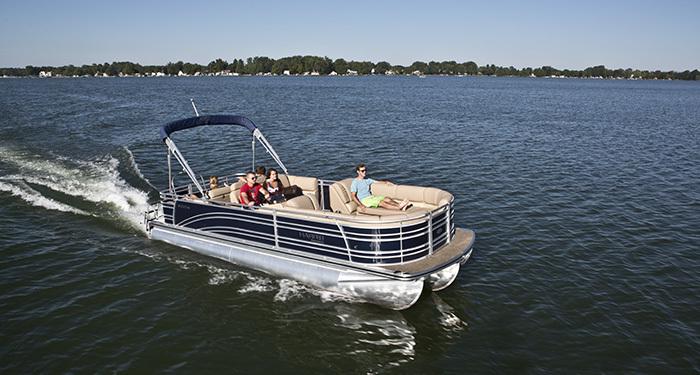 Coving, watersports, and kicking around the lake now define how a pontoon is designed, and how it needs to perform. 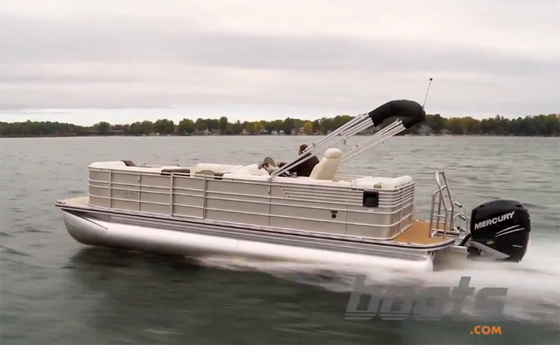 Our pontoon expert put a Harris FloteBote Solstice 240 through its paces, to find out how it performed with a Mercury Verado 250 and Harris FloteBote's P3 Performance Package. 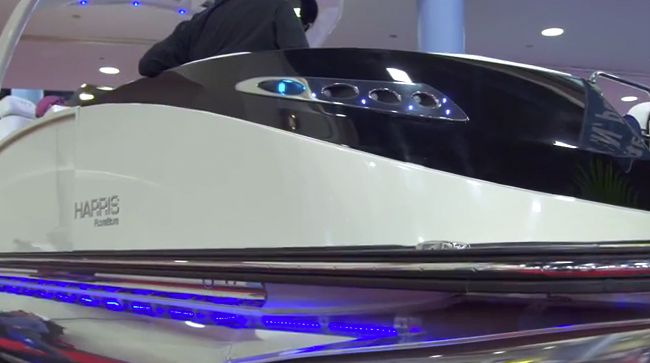 This adds a third log to the pontoon package, making the boat a true tri-toon. Let's check it out. And here are some pontoon boat listings. 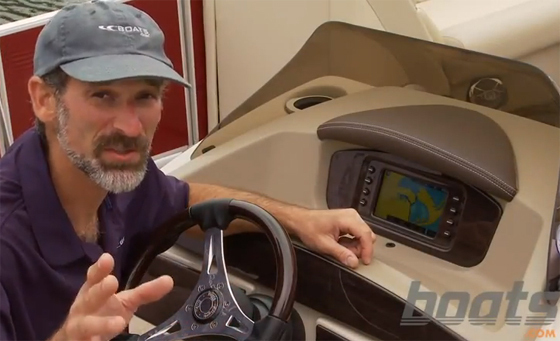 Harris FloteBote's P3 Performance Package adds a third log to the Solstice 240.